You might think it’s difficult but it’s very important to file a police report after car crash. That’s because that report has some important pieces of the puzzle that you may need to get better compensation. Police will write unbiased eyewitness accounts and try to construct as accurate a depiction of the scene that occurred as they can, based on the facts they can gather. Even if your car crash is a minor one, you should always file a police report so that you can have it as a reference in further investigation or for getting a fairer compensation. What Does the Police Report Contain? The police report is documentation about the accident and is not biased. The officer has no personal interest in the report that’s hidden from you, it’s just part of their job that they are doing diligently. It has eye witness statements of people who saw the accident happen, as well as their contact information. If you’ve suffered injuries, you may not be able to get the contact information from the eyewitnesses yourself. This might be information that your attorney can use to make your case stronger and help you get better compensation. The report records where the accident occurred and at what time and date. 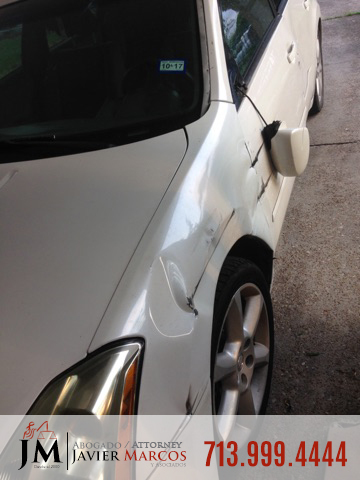 It records the extent of damage to the vehicles, both yours and the other party. It records the particulars of the cars involved in the accident, such as their number plates, their makes and models that will be used in further investigations and court proceedings. The weather and road conditions are also noted along with the involved parties’ information including passengers’, drivers’ and insurance companies’ details. The injuries that one has in a car crash are also contained in the police report too. Any injuries that one faces at the scene are recorded by the police officer. If your back or front bumper has been badly damaged, tail or headlights have been broken, mirrors shattered, doors have been badly dented and more, then that is also recorded. This information can be used for showing that the injuries you suffered had happened as a result of an accident and can help you get better compensation from the insurance companies. Police reports also make things clear as it also contains a record of citations that the people involved in the car crash have received in the past. This history of citations can show if a party was negligent when the accident occurred. The citations can help pin the case on the other party so that they can be implicated. If the other side has had citations of speeding, drunk driving or driving under the influence, illegal possession of narcotics or other infractions, it can be easy to pin the blame on the other party due to their history and get a justified compensation. Because of all the reasons mentioned before, it is important to create a police report after car crash then contact attorney Javier Marcos for help in your case. It is important to make a police report after car crash because that document says all the details of the accident and the person who was responsible. After the police report, call Attorney Javier Marcos for help in your case. Do not speak with the insurance company because this can affect your case. They are trained to ask questions and give you the less amount money possible. Contact our attorney offices for more information if you’ve been involved in a car accident. You can call Attorney Javier Marcos 24 hrs at 713.999.4444 for a free consultation.